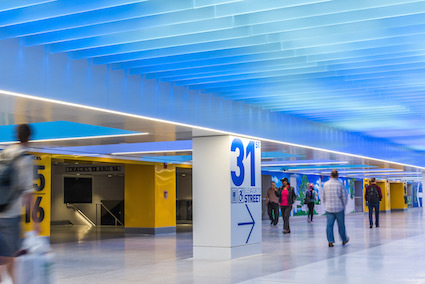 From natural sunlight to edge-lit-glass, the use of architectural lighting has the power to transform. Architectural Lighting editor-in-chief Elizabeth Donoff. 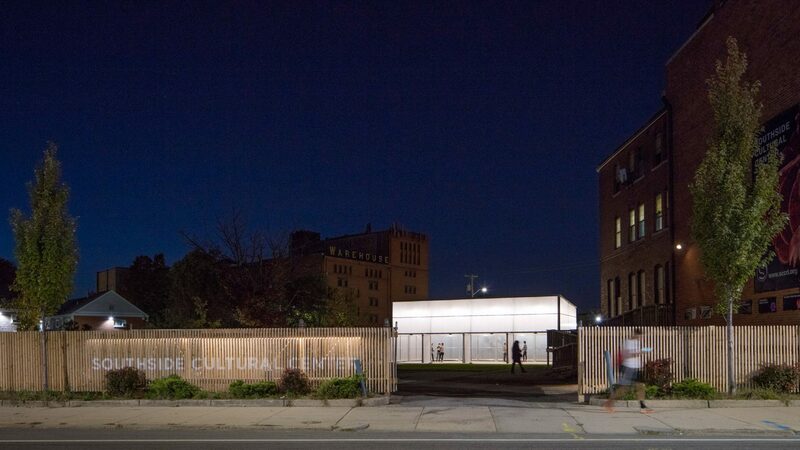 Rhode Island School of Design students used standard greenhouse parts to build this outdoor venue. Tongue-and-groove translucent polycarbonate cladding was used to illuminate the interior during the day, and its surroundings at night through the continuous glow of the interior lighting. 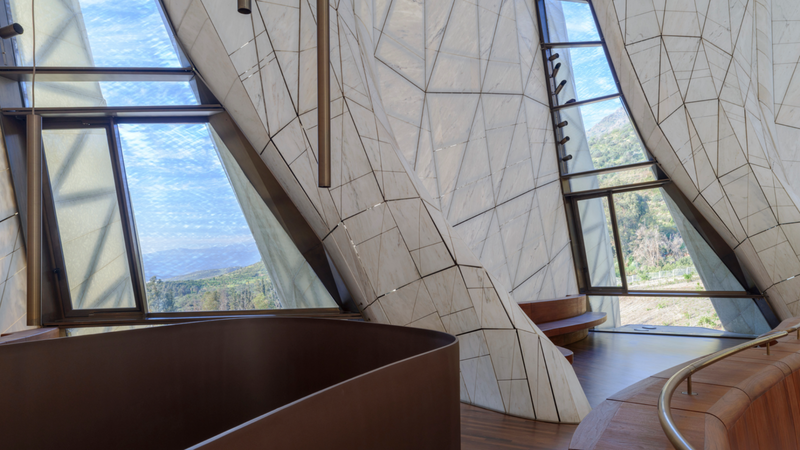 The Bahá’í Temple, winner of the 2017 Innovation in Architecture Award takes inspiration from the Bahá’i conception of light as a symbol of unity. 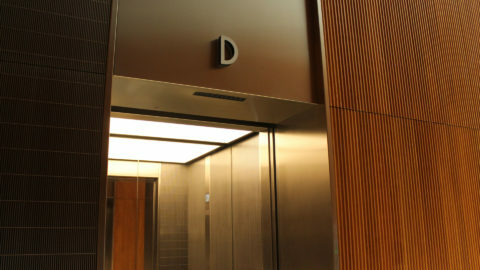 Visitors are welcomed to the building through nine entrances in order to cover all directions. Part of a trio of installations by Studio Roosegaarde. 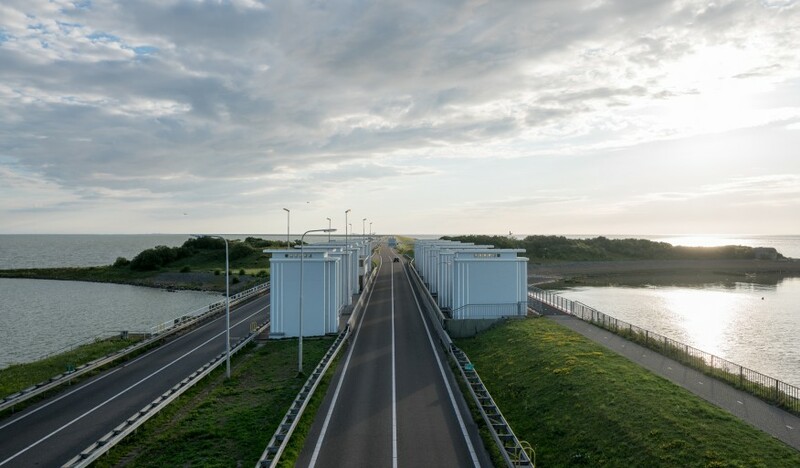 This work celebrates the 32-kilometer-long dike that protects the Netherlands from flooding. Inspired by a butterfly’s wings, 60 floodgates have a reflective layer that illuminates when a car passes by. 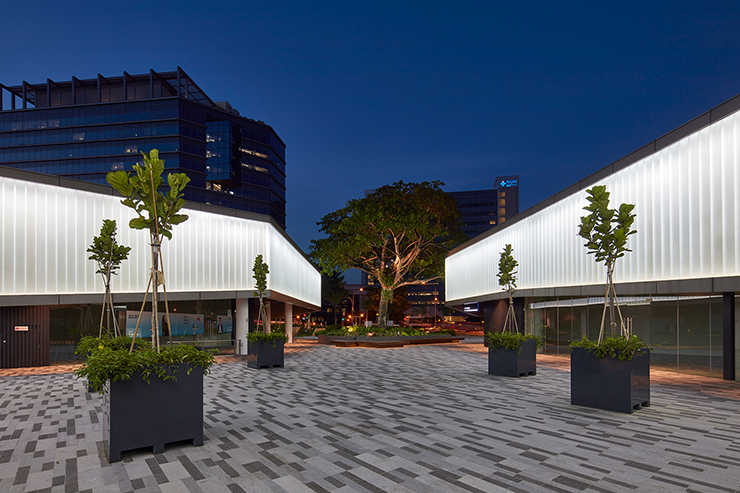 470-metres of spandrel lighting wraps around the lower retail block and embraces the central courtyard where a conserved rain tree stands. The perimeter was crafted using meters of translucent ‘U’ channel glass modules. Browse our lighting projects for further inspiration.